The House on Monday withdrew the latest version of the 2019 national budget submitted to the Senate in a bid to get past objections from the senators that the draft introduced changes after the spending plan had been approved by the bicameral conference committee. San Juan Rep. Ronaldo Zamora, tasked by Speaker Gloria Macapagal Arroyo to negotiate with senators to break the months-long budget impasse, confirmed the withdrawal but said the House had done nothing wrong in itemizing a lump sum allocation in the budget after its ratification by the bicameral conference committee. “Basically, we just retrieved what we sent to the Senate,” Zamora said. He added the House did not give in to the demands of Senator Panfilo Lacson, but “delivered a sign of good faith” so that both sides could continue discussing the budget. Zamora also said the Senate must now be able to show and present evidence that the House violated the Constitution when it itemized the lump sum funds. “They have to show me where it is illegal. [They claimed we have made changes]. I will tell you I have been in several bicameral conference committees before—not this one, I am not a part of this conference committee—that has been a practice to itemize the lump sum because the SC prohibited it,” Zamora said. “You have to itemize and the appropriations leadership in the House says that is itemization. If the Senate says that is not itemization, they should come up with specifics,” Zamora added. Arroyo also denied any wrongdoing. “What we can say is that the process that we followed was constitutional. 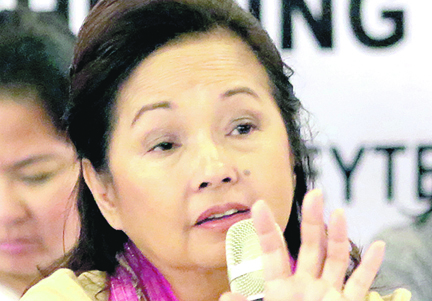 We would never put the President in a position of signing an unconstitutional bill,” Arroyo told reporters. She added the House would not agree to keep lump sum funds in the budget because the Supreme Court had ruled against this. “We cannot agree to a lump sum allocation,” she said. Camarines Sur Rep. Rolando Andaya Jr., chairman of the House committee on appropriations, said recall of the 2019 general appropriations bill must also be done in plenary session, with majority members of the House in approval. “No congressman has the authority, without plenary approval, to order the recall of the enrolled form of any bill already transmitted to the Senate,” Andaya said in a statement. “I really do not know what they are talking about. As chairman of the appropriations committee, I cannot undo an act authorized by the members of Congress. I am just one out of the 290. My powers come from them. A few senators cannot overturn an institutional act,” he added. Andaya said being the chairman of the House appropriations committee, he still had to be briefed on what transpired during the recent meeting of the House and the Senate on the 2019 national budget. “As chairman of the appropriations committee, my task is to steer the approval of the 2019 general appropriations bill in the House of Representatives,” Andaya said. “The 2019 GAB was approved in plenary at the House of the Representatives. The ratification of the bicameral conference report on the national budget was also made in plenary. The recall of the 2019 GAB must also be done in plenary session, with majority members of the House in approval,” Andaya said. Lacson on Monday disclosed that the House leadership has agreed to recall its version of the P3.547- trillion national budget for 2019. Lacson said Zamora called him up and told him there’s already an approval from the leadership of the House to recall their own version of the budget bill. He recalled Zamora telling him that he was assigned by House leaders to negotiate with the senators. A day after an unproductive meeting between senators and congressmen at the Palace, Zamora called Lacson and asked if they could talk. “So what’s the way forward? I told him there’s no other way except for the House to recall or withdraw your version of the enrolled bill. Effectively, that’s a mere scrap of paper because the Senate president has already stated many times he would not sign it,” Lacson said. “Yesterday he gave me a call and he said there was approval of the House leadership to recall it today. And it bears watching if they will really withdraw their version of the enrolled bill today. And then from there, we will move forward,” Lacson said in an interview during the groundbreaking for the new Senate building in the Bonifacio Global City in Taguig City. Lacson said they expect to start holding sessions of the 18th Congress on July of 2021 in the new Senate building. Senate President Vicente Sotto III has maintained that he will not sign the budget if the House does not revert to its original version. 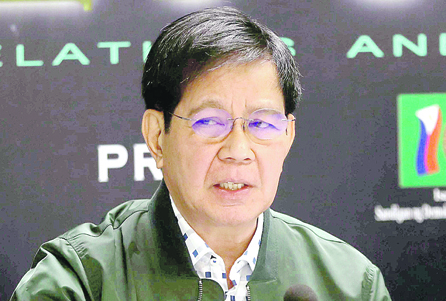 Lacson had earlier accused the House of making billions of pesos in insertions in the 2019 budget after it was approved by the bicameral conference committee. The House insisted, however, that these merely itemized lump sum funds in the ratified budget.